How Do Benefit Days Work? 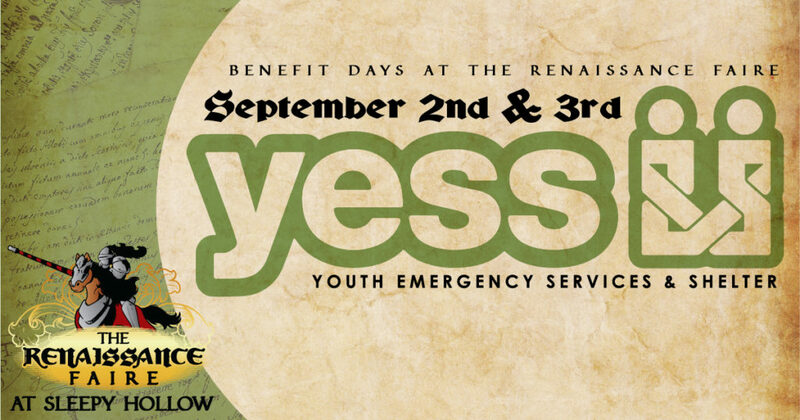 This year the Renaissance Faire at Sleepy Hollow has reached out to partner with 3 incredible organizations in our community to host benefit days. To show your support be sure to like them on Social Media and Sign Up for their newsletters. Not only will this keep you in the loop on everything these community warriors are doing, but it is also how your Renfaire tickets can give them very real financial support. Step 1 – Like their social media pages. Step 2 – Sign up for their Newsletter. Step 3 – Keep an eye out. Each of these organizations has a code they will be sharing. Step 4 – Use that code to buy your tickets in advance for their benefit day and $5 per adult ticket will go straight to them to aid in their efforts supporting and improving our communities. Youth Emergency Services & Shelter (YESS) meets the critical needs of the community by providing a continuum of quality programs designed to keep children safe and families together. YESS provides a safety net of programs designed to help kids when they need it most, including emergency shelter, crisis nursery care, mental health counseling, and care coordination. As Iowa’s largest provider of emergency services for youth, the agency connects more than 2,200 children per year with healing and hope. YESS is home to Iowa’s largest and most comprehensive emergency shelter for kids, which provides a safe haven and wraparound support to more than 800 children (newborn through age 17) per year. In addition, the agency cares for hundreds of children in the community to keep them safe and healthy in their own homes. YESS is a nationally-accredited nonprofit organization that uniquely serves the community’s most vulnerable children and creates an environment where families can thrive. 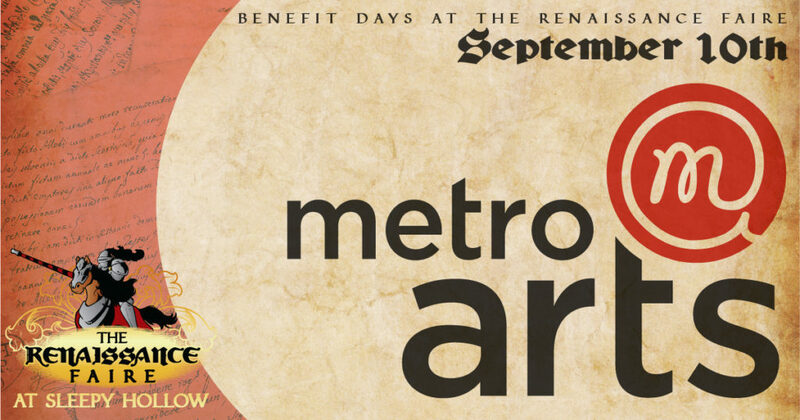 As a home of the arts in Des Moines, the Renaissance Faire is happy to be partnering with The Metro Arts Alliance! Metro Arts Alliance enriches the quality of life in Greater Des Moines by connecting people to the arts through programming, communication, and support of artists and arts organizations. As a regional arts service organization, Metro Arts works with the public and our members to ensure that the arts survive and thrive in Greater Des Moines. It is a non-profit that advocates for the arts, cultivates public participation in the arts, and creates partnerships between the artistic, business, and cultural communities. If you have attended the Renaissance Faire at Sleepy Hollow before you know what a pet-friendly place it is. Queen Catherine loves to meet her canine subjects, shoulder reptiles and birds of prey abound, and there are a couple ferrets dressed as dragons that are known to make an appearance every year. 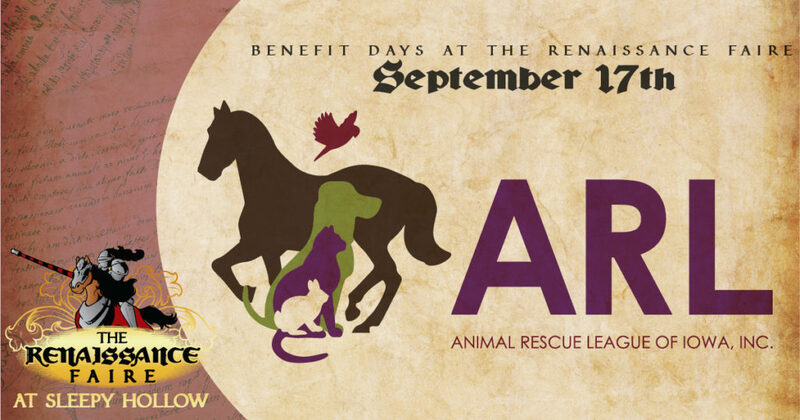 So for our final weekend, we have chosen to partner up with the ARL not only to support this wonderful organization but also to bring some new events to the Faire! On Sunday, September 17 the ARL will have a booth where you can meet some adoptable furry friends (depending on availability and weather). Members of ARL will also be judging our first ever Pet Costume Contest with prizes! More information still to come on this so keep an eye out!